Simple animation where the skeleton angle is varied, which results in the overall assembly folding or unfolding. 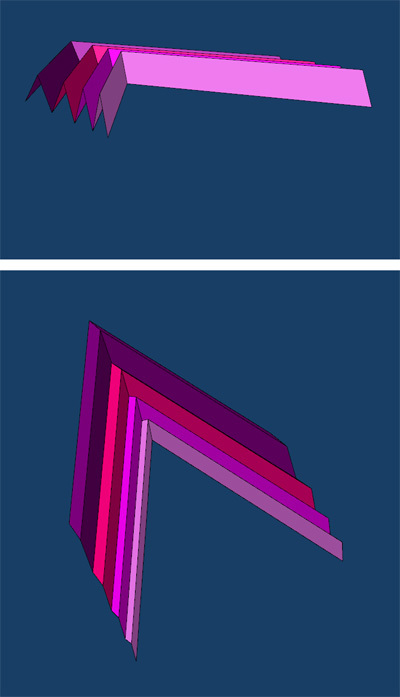 Variation of the panel angle only. Here is the angle and length of panel varied across the assembly.